Before the start of the event, the organisers of the Mumbai marathon, Procam International, had pledged a series of initiatives in response. They aimed to cut the usage of 60000 plastic water bottles by setting up water stations for refills and requested runners to carry their own bottles; cloth bags would be distributed for kits and for refreshments. 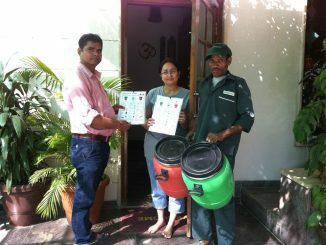 Another goal was on-site segregation of waste into wet and dry for easier clean up. The intent was reinforced by the inclusion of the tag #BeBetter. But in any public event of such scale, waste management remains a huge logistical challenge. how successful, really, was the Mumbai marathon in its efforts? Is it possible to have a zero-waste marathon at all? Procam International forged a partnership with the Brihanmumbai Municipal Corporation for last-mile clearance of the waste produced. Participants and observers of the marathon said that several of these measures were implemented successfully on the ground. “In the expo prior to the event, I could see added attention given to segregated waste bins. Waste management staff were attending to the bins. At the event itself, a major change from earlier years was a good arrangement of 20-litre water refill cans at the start and finish venue. However, only disposable paper cups were there at the stations. The Mumbai marathon has to make an honest effort to cut down on disposables used in the run,” says Shilpi Sahu, a runner. Keen runners and observers have many suggestions and learnings that can be incorporated to reduce waste generation and organise an environmentally sustainable event. “Runners and organisers have to be sensitised to hold a green marathon. The first item on the agenda must be waste management. 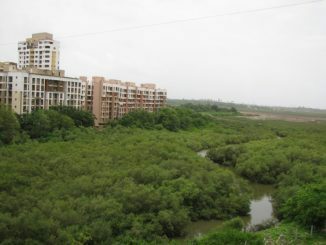 It is not enough that the waste generated is picked up by sanitation workers. We must move from recycling to sustainable alternatives. They can even get experts to help them through the process,” says Sangeeta. One way to go about this is to look at examples and learnings from other cities and marathons. Gaurav highlights the examples of Chennai and Bengaluru marathons where food was served in rented, reusable steel cutlery and in biodegradable cutlery respectively. Having said that, the commitment to waste reduction at every step must come from both the organisers and the runners. Often, the imperative of maximising the interest of runners proves to be the biggest block in achieving a low carbon footprint. Srini is of the view that roping in runners who are not participating in the event to serve as volunteers will help increase awareness among the running community about the difficulties of hosting an environment-friendly event. These volunteers will also be aware of the needs of runners taking part in the event. While it may not be feasible to completely eliminate plastic bottles from events such as marathons at one go, innovative solutions must be sought to reduce the quantum. 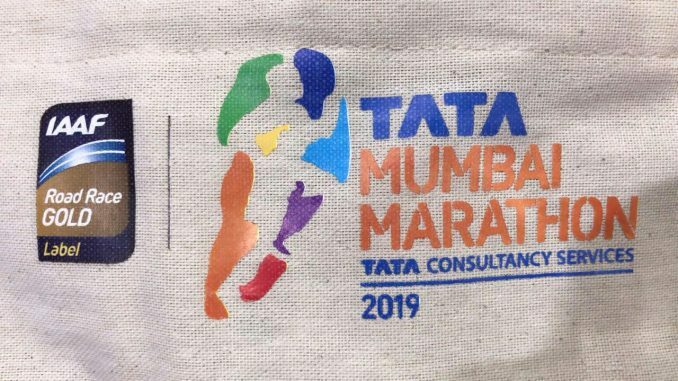 Organisers of large marathons could try and forge meaningful sponsorship deals with brands, involving the latter in cleaning up operations and audit of waste generated. In a small-scale model of extended producer responsibility, the bottled water companies should collect the bottles themselves, suggests Srini; this will make it easier to track and dispose of discarded bottles. 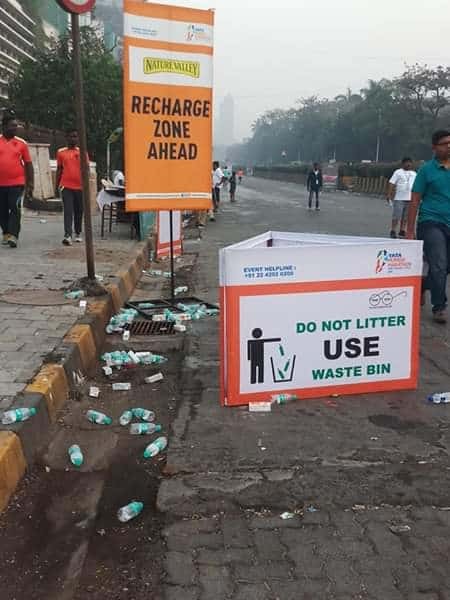 While small strides are being made across marathons in the country, the suggestions and learnings from each event point towards the need for a concerted effort on the part of organisers, participants and sponsors to ensure that the environmental impact of these events are minimised. Meticulous planning in steps and an eye on the larger picture will help integrate the various measures taken at each level. Where a dumping ground is a tourist attraction! 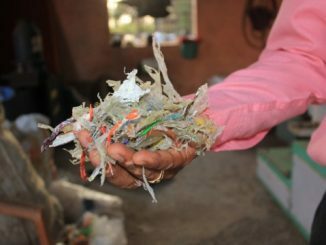 A half-hour drive from Goa, the small municipality of Vengurla is recycling 7 tonnes of waste generated daily and earning money from plastic sold to contractors for road-building in nearby areas.